We've had a quality matsurfing wave turn up the past few days. Looked amazing today with a mixed bag of rights and lefts coming through. Only 2ft or so but well formed and lush for practising trimming across the face. Friday has a lot of promise of South Coast super-shelter. If the 55mph winds stay away! 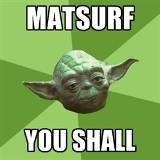 Yeah, tends to get in the way of a good wave. Pretty good down my local today. Onshore turning offshore half-way through the session. Swell was good, not necessarily pretty, but with the Vespa RT I was getting plenty of hold across the face on steep waves. Right then. I'm planning a dawnie at Pentewan tomorrow (Friday). Swell's dropping quick so getting there for 7am. Who's with me? Saturday looks local for me. Gale force offshore here this morning. Did its best to flatten an impressive looking swell. Pretty grimey TBH and the storm drain was spewing dark gutter water onto the beach. Looking good for tomorrow but super-flooded up here! Surf Empty, can you let us know how the roads are? Graham German is planning to come too so we need to know about the roads ASAP. The main roads are fine (ie. to Pentewan) bar a little surface water here and there (will be gone by the morning). Trees/branches down on back roads (just got caught at Polmassick). I'm hopeful for Pentewan surf-wise in the morning if that swell will just hold. Could you see any white on your way through? Great session that was. Had two really good, long, right hand party waves with Surf Empty on the point at the Cockaluney end of the beach. Doing Chally at 7am tomorrow if anyone's around. 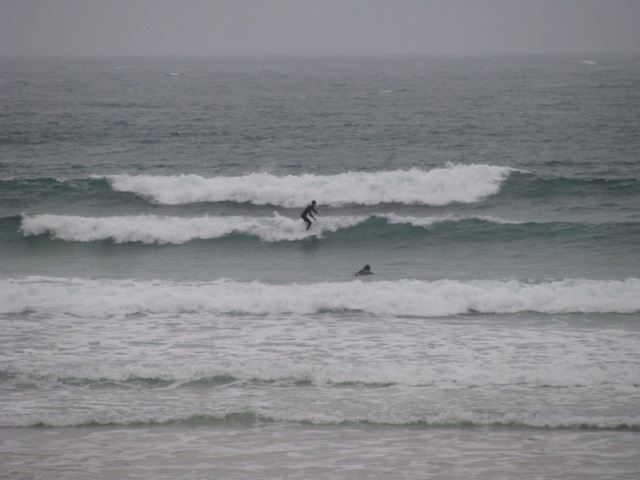 A proper Pentewan session at last - that first long right was stoke-tastic. Change of plan. I'm getting Wrinkly tomorrow.